VoiceFX in Alto Studio 3.2! 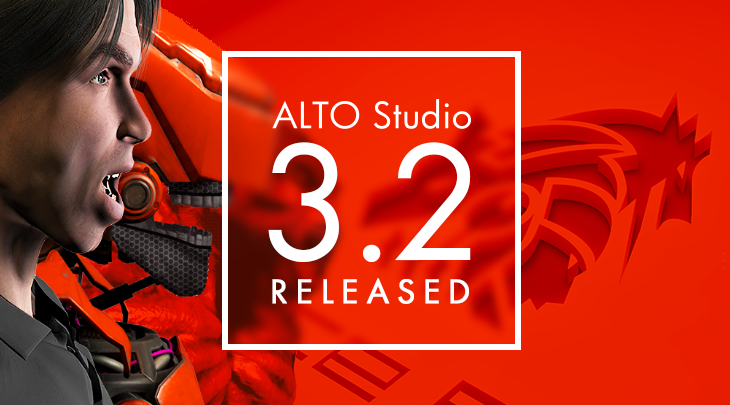 We are proud to announce the release of Alto Studio 3.2, the latest version of the game industry’s most trusted tool for audio dialog. Sound designers can build VoiceFX processing chains intuitively by stacking effect racks. Among the effects available are: chorus, compressor / limiter, convolver, degrader, delay, droid, graphic equalizer, filter, flanger, formant filter, gain, mixer, pitch shifter, reverb, ring modulator, saturator and vocoder (depicted below). The parameters of these effect racks can be modulated by envelopes and low frequency oscillators (LFOs). The audio files being processed can be analyzed and their amplitude, pitch and noisiness curves used as modulation sources as well, allowing for the creation of rich and evolving timbres. 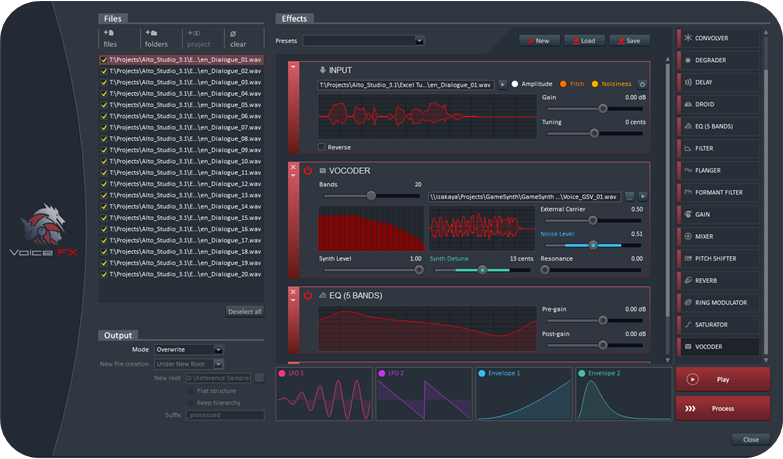 The high-quality voice processing functions of VoiceFX come in addition to the myriad of features already present in Alto Studio such as the placeholder speech synthesizer, the audio batch renamer, the interactive dialog tester, the loudness equalizer, the Wwise importer / exporter and of course Alto Studio’s famous analysis, correction and reporting capabilities. To celebrate the launch of the VoiceFX technology, Alto Studio is now 25% off until the end of April! 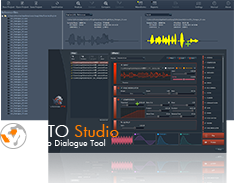 Don’t miss the chance to get the ultimate dialog tool for the game and movie industries at $290 US instead of $390 US. Enter AltoVoiceFX for the coupon’s name in our online store.